Noel Anderson, 23, of McKinney, was sentenced to 50 years in prison without the possibility of parole for continuous sexual abuse of a child, Collin County District Attorney Greg Willis announced today. "We're grateful for these brave children, as their courage helped lock up a serial child predator," added Willis. Anderson sexually abused multiple children who he had ongoing access to over a period of several years through his church. His five victims ranged in age from 18 months to 6 years old. 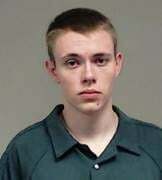 Anderson confessed to the abuse and said he targeted children he thought would not disclose. One of the children eventually told her mother that Anderson abused her. Anderson was a member of The Church of Jesus Christ of Latter-Day Saints, located at 1020 N. Lake Forest Drive. According to police at the time of his arrest last March, Anderson located his victims through church meetings and held responsibilities such as primary instructor for children ages 7-8 in 2014. McKinney Police Department Detectives Ursula Watson and Nolan Palmer investigated the case. Multiple children were forensically interviewed by the Children's Advocacy Center of Collin County and out-cried in detail about specific incidents of abuse by Anderson. Anderson pled guilty; the jury returned a guilty verdict and assessed punishment of 50 years in prison. By law, a sentence for continuous sexual abuse of a child is without eligibility for parole. Assistant District Attorneys Nick Lawrance and Geeta Singletary prosecuted the case, assisted by District Attorney Investigator Kim Voigt-Eanes, Victim Assistance Coordinator Casey Hendrix, and Legal Secretary Christy Ware.